Spouse(s): Ivana Zelnickova (Married in 1977; Divorced in 1992); Marla Maples (Married in 1993; Divorced in 1999); Melania Knauss (Married in 2005). 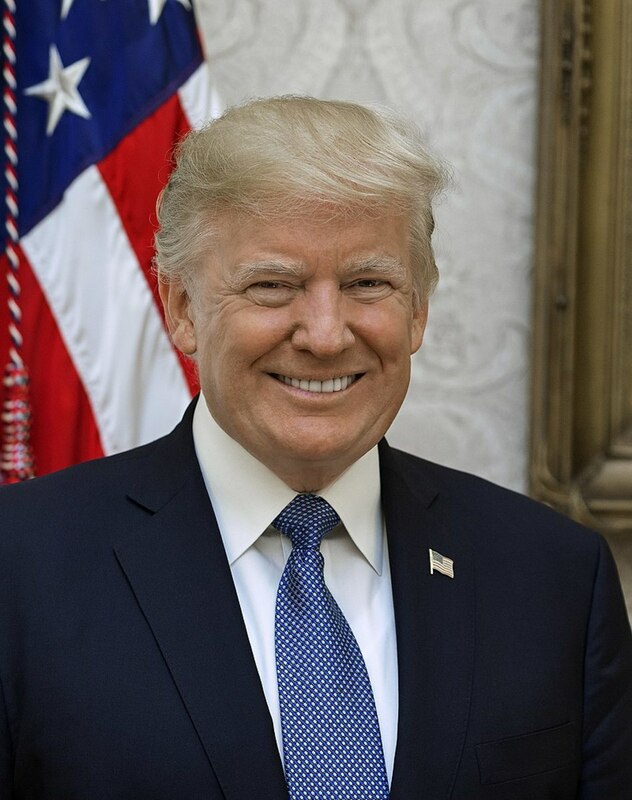 Current Residence: White House; Washington D.C.
Quick Fact #1: Donald John Trump was born in Queens, New York on 14 June 1946 to Frederick and Mary Anne Trump. 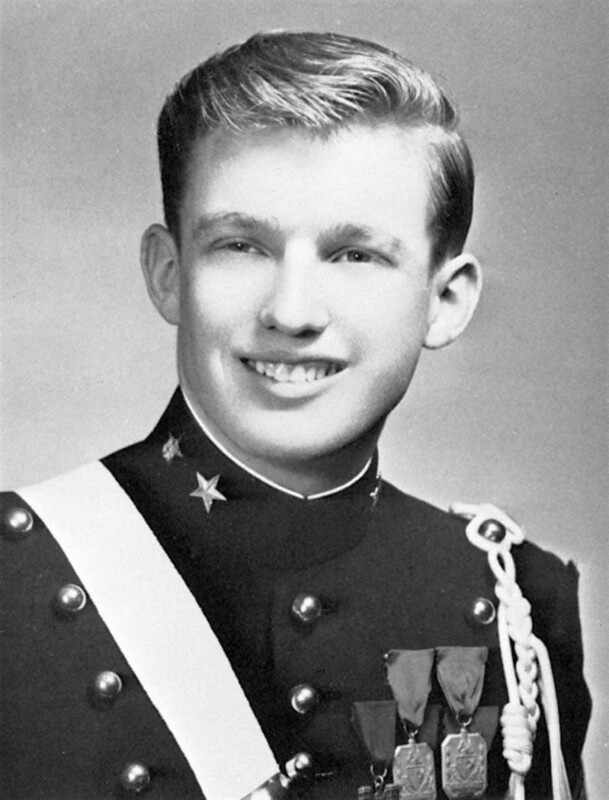 At an early age (Thirteen), Trump was enrolled into the New York Military Academy by his parents. A few years later, Trump began to take classes at Fordham University, but later transferred to the Wharton School of the University of Pennsylvania. There, he earned his Bachelor of Science Degree in Economics (May 1968). While attending college. Young Trump also continued to work at his family business, “Elizabeth Trump & Son,” and continued in this endeavor after college as well. Quick Fact #2: Trump’s career really took off with his partnership with the Hyatt Corporation in 1976. 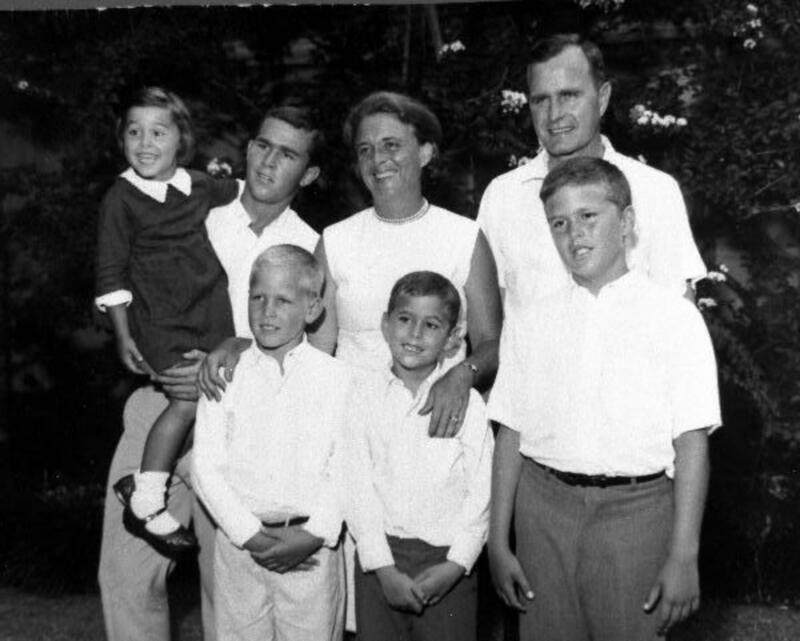 With his father and Hyatt, the trio purchased the Commodore Hotel in midtown Manhattan. After extensive remodels (taking nearly four years), the hotel reopened and was dubbed the “Grand Hyatt Hotel.” After the success of the Grand Hyatt, Trump began to purchase multiple properties across New York City, and began construction on casinos in Atlantic City. One of Trump’s most notable purchases included the “Mar-a-Lago” oceanfront estate in Palm Beach, Florida (1985). After extensive renovations, Trump made the Mar-a-Lago a private club in the mid-1990s. Quick Fact #3: Trump published his first book in 1987, entitled: “Trump: The Art of the Deal.” The book experienced overwhelming success, becoming a nationwide best seller. In response, Trump developed “The Donald J. Trump Foundation” which donated a portion of the book’s sales to local and national charities. Nearly three years later, however, Trump faced complete bankruptcy as he faced nearly a billion dollars of debt. After making numerous arrangements with bankers, Trump was able to avoid declaring bankruptcy. However, in 1991 and 1992 both the Trump Taj Mahal, The Trump Plaza, and the Trump Castle were forced to file for bankruptcy. Quick Fact #4: In the mid-1990s, Trump moved to purchase Miss Universe, Miss USA and Miss Teen USA. Later, in the early 2000s, Trump became involved in the reality show known as “The Apprentice” which aired on NBC. Trump even hinted at the possibility of a run for the Presidency in the late 1990s, but decided against it due to discord within the Reform Party. Quick Fact #5: During his years of real estate development, writing, and entertainment, Trump was also married on several occasions. His first wife, Olympic skier and model Ivana Zelnickova (1977) bore the couple three children: Ivanka, Eric, and Donald Junior. However, the couple decided to divorce in 1990. In 1993, Trump and Marla Maples tied the knot and had one daughter, Tiffany. After six years, the couple split in 1999. Trump’s final marriage in 2005 to Slovenian model, Melania Knauss, continues to thrive, however. The couple have one son, named Barron. 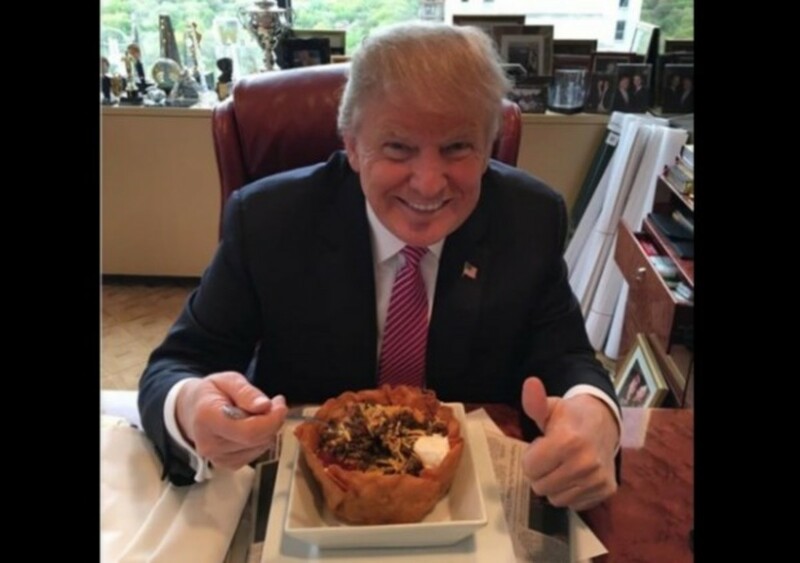 Quick Fact #6: In 2015, Trump officially announced his candidacy for President of the United States after considering the idea for quite some time. Trump surprised many with his victory over Republican opponents also vying for the Presidency due to his straight and direct talk. Even more surprising was the stunning victory over Democratic rival, Hillary Clinton, in the November 2016 election. In 2017, Trump was officially inaugurated as President of the United States. 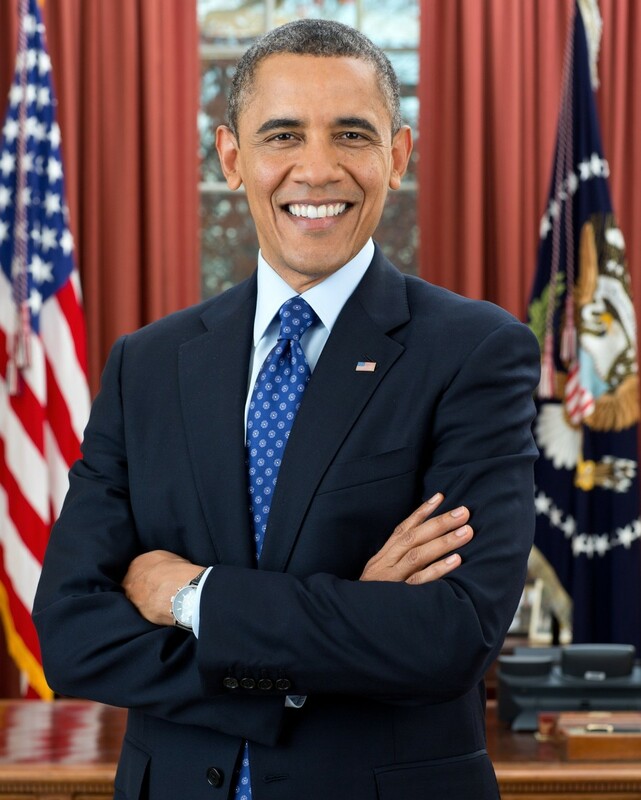 He is currently the wealthiest President in American history, ahead of even John F. Kennedy. 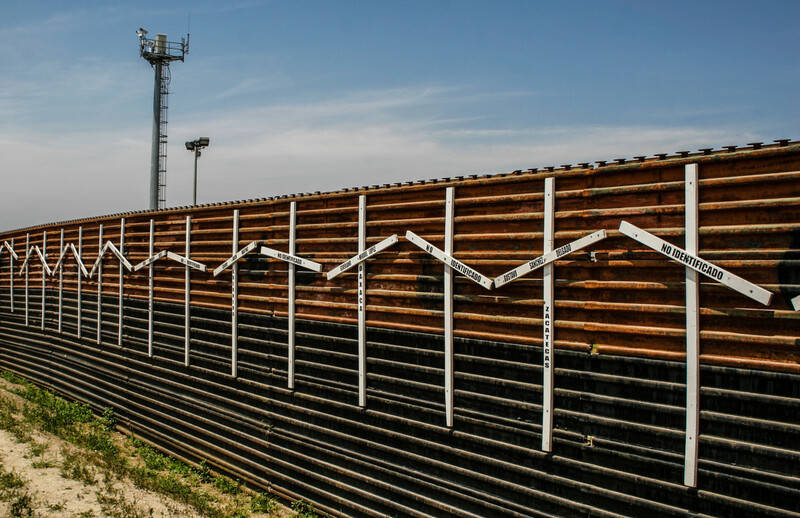 Despite winning the election, Trump’s presidency has been highly controversial due to allegations, scandals, and political mudslinging from both sides of the political spectrum. Fun Fact #1: Trump is the first elected President of the United States to have never held a prior government office, or military rank. Fun Fact #2: Trump had a famous uncle by the name of John G. Trump that served as a Professor at Massachusetts Institute of Technology. His uncle was given permission by the FBI (1943) to examine the papers of famous inventor, Nikola Tesla, following his death earlier in the year. Fun Fact #3: Donald Trump is a major fan of golf. In total, he owns and operates nearly eighteen golf courses around the globe. Fun Fact #4: In addition to real estate and golf courses, Trump also owned Trump University LLC, which provided real estate training to prospective students. Fun Fact #5: Despite being a lifetime business owner, Trump has never enjoyed shaking hands due to his fear of germs. Fun Fact #6: Trump abstains from the use of alcohol. After his brother died in 1982, due to his addiction to alcohol, Trump refuses to drink. Fun Fact #7: Trump nearly purchased the New England Patriots in the 1980s. However, he felt they were a bad investment at the time due to their record. Fun Fact #8: By the time Trump was twenty-seven years old, he already owned over 14,000 apartments. Do you plan to vote for Donald Trump in the 2020 election? In closing, Donald Trump represents one of the most fascinating and intriguing figures to have emerged in the Twentieth and Twenty-First centuries. From real estate tycoon to President of the United States, Trump’s rise to the Presidency has forever altered American politics as we now know it today. What does the future hold for Trump? Does he have enough support for four more years in office? The answers to these questions remain unanswered for the time being. Only time will tell what direction the American people choose to follow in the months and years ahead. Trump, Donald J. and Tony Schwartz. Trump: The Art of the Deal. New York, New York: Ballantine Books, 1987. 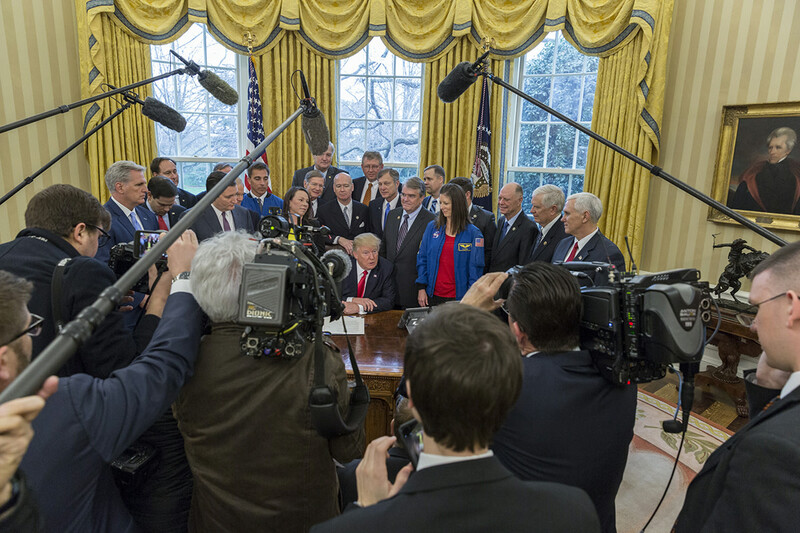 Wikipedia contributors, "Donald Trump," Wikipedia, The Free Encyclopedia, https://en.wikipedia.org/w/index.php?title=Donald_Trump&oldid=888313961 (accessed March 19, 2019). 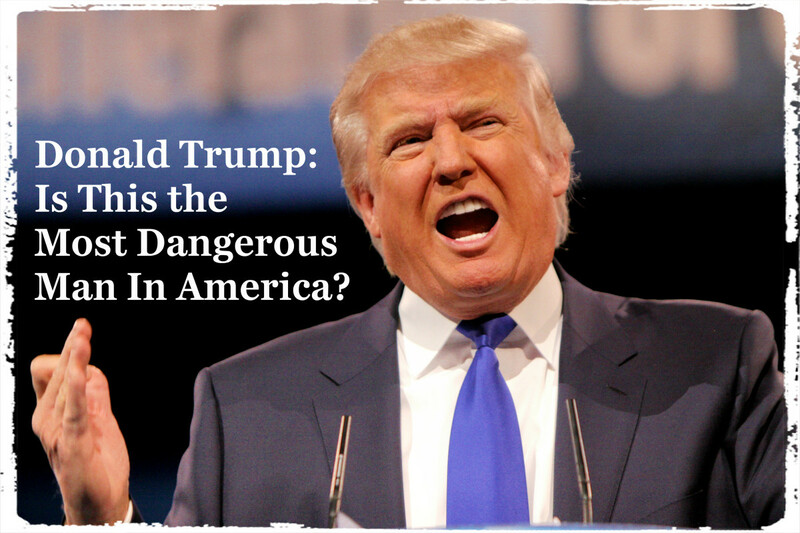 Donald Trump: Is This the Most Dangerous Man In America? 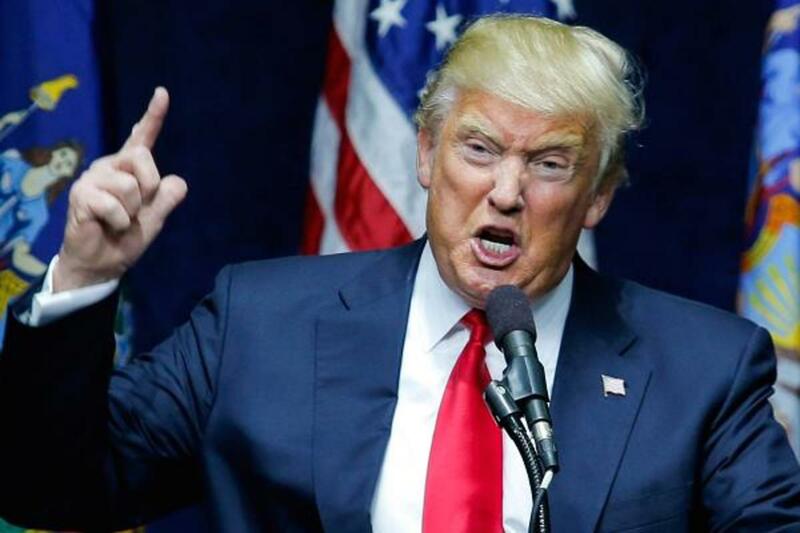 What Donald Trump Is Doing to America May Surprise You! 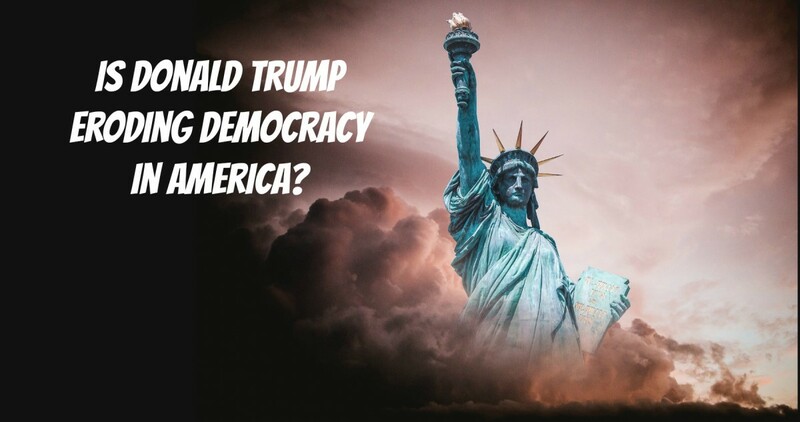 Is Donald Trump Eroding Democracy in the United States of America? Larry this article could have gone many different routes and I appreciate the more neutral tone. Everyone has an opinion of him by now. Trump Steaks I thought was stupid selling steaks in an electronics store. He was involved in challenging the NFL and because of his involvement some would say it doomed everything. His books are ghostwritten. I was willing to hear him out in the beginning of his candidacy but then that quickly faded. He doesn't understand everything around him. He is definitely one of the more interesting people who have been president. Ketchup on a well done steak? Very interesting person. I think that quote is why you have fun fact #1.